Commercial-off-the-shelf (COTS) Simulation Packages (CSPs) are widely used in industry primarily due to economic factors associated with developing proprietary software platforms. Regardless of their widespread use, CSPs have yet to operate across organizational boundaries. The limited reuse and interoperability of CSPs are affected by the same semantic issues that restrict the inter-organizational use of software components and web services. The current representations of Web components are predominantly syntactic in nature lacking the fundamental semantic underpinning required to support discovery on the emerging Semantic Web. The authors present new research that partially alleviates the problem of limited semantic reuse and interoperability of simulation components in CSPs. Semantic models, in the form of ontologies, utilized by the authors’ Web service discovery and deployment architecture, provide one approach to support simulation model reuse. Semantic interoperation is achieved through a simulation component ontology that is used to identify required components at varying levels of granularity (i.e. including both abstract and specialized components). Selected simulation components are loaded into a CSP, modified according to the requirements of the new model and executed. The research presented here is based on the development of an ontology, connector software, and a Web service discovery architecture. The ontology is extracted from example simulation scenarios involving airport, restaurant and kitchen service suppliers. The ontology engineering framework and discovery architecture provide a novel approach to inter-organizational simulation, by adopting a less intrusive interface between participants Although specific to CSPs this work has wider implications for the simulation community. 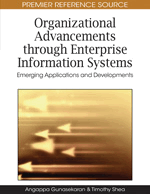 The reason being that the community as a whole stands to benefit through from an increased awareness of the state-of-the-art in Software Engineering (for example, ontology-supported component discovery and reuse, and service-oriented computing), and it is expected that this will eventually lead to the development of a unique Software Engineering-inspired methodology to build simulations in future. Commercial-Off-The-Shelf (COTS) Simulation Packages (CSPs) offer an interactive and visual modeling development environment for creating computer models of existing and proposed systems as well as for experimenting with the models themselves. Simulation practitioners in industry extensively use CSPs such as Simul8 (Concannon, et al., 2003), Witness, AnyLogic, AutoMod and Arena to model their simulations. These packages allow reuse of standard simulation components like workstations, queues, conveyors, resources, etc. and thereby provide the building blocks which facilitate the creation of larger models. As these models grow larger and more complex the prospect of simulation model reuse and interoperability is appealing as it has the potential to reduce the time and cost incurred in developing future models. An extension of model reusability is the concept of separate development and user groups, whereby models are developed and validated by one group and then used to specify simulations by another group (Bortscheller & Saulnier, 1992). This is collaborative model building. Collaborative model building is increasingly gaining prominence as models become large and complex and there is an increasing need among modelers, who may be specialising in different domains, to join together to conduct a simulation study. A few software vendors have started integrating solutions that facilitate such parallel and co-operative model development, for example, the Teamwork and Concurrent Version System (CVS) Integration provided by AnyLogic (XJ Technologies). In particular, the opportunity to interoperate models (running together in separate CSPs on separate computers linked via a network) is attractive as this approach avoids the costs of “cut and paste” integration. In this paper we look at the discovery and import of CSP-created models across organizational boundaries within the context of industrial supply chains, thus enabling development and user groups to exist in different organizations. This approach does not allow model information hiding between enterprises and contrasts with the distributed simulation approach to model reuse that enables an organization to hide model specific information and data from the other participants. To motivate our approach, consider the area of Supply Chain Management (SCM). This consists of a series of tasks such as manufacturing, transport and distribution that are undertaken by organizations with the aim of delivering products to their customers. Simulation of the supply chain can identify manufacturing bottlenecks, resources required for on time delivery, adequate stock levels for distribution etc. and help to improve the performance of the underlying supply chain. Each organization that forms a part of the supply chain normally develops models that simulate their own part of the supply chain using CSPs (Fujimoto, 2000). Assuming that all necessary individual simulation components are available then the question is how to link or interoperate them together. Distributed simulation offers one such solution. Distributed simulation can be defined as the distribution of the execution of a single run of a simulation program across multiple processors (Taylor et al., 2001). It allows each organization to run its model within its own site (thereby encapsulating model details within the organization itself) and participating with other sites through information exchange using distributed simulation middleware. Gan et al. (2000), Boer et al. (2002), Mertins et al. (2000), Gan et al. (2005), Taylor et al. (2005), Mustafee & Taylor (2006), Mustafee et al. (2009) are examples of successful distributed simulation using CSPs. There is a growing body of research dedicated to creating distributed simulation with CSPs and the High Level Architecture (HLA), the IEEE 1516 standard for distributed simulation. In an attempt to unify this research, the COTS Simulation Package Interoperability Product Development Group (CSPI-PDG), a Simulation Interoperability Standards Organization (SISO) standardization group, began operation in October 2004 (http://www.sisostds.org/).